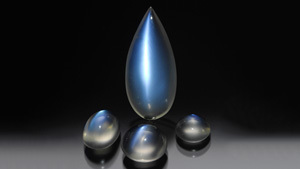 The strength and color of moonstone's sheen, its bodycolor, and clarity are the most important value factors. Submit your gemstone through your local jeweler. Verify the information on your report matches what is archived in the GIA report database. 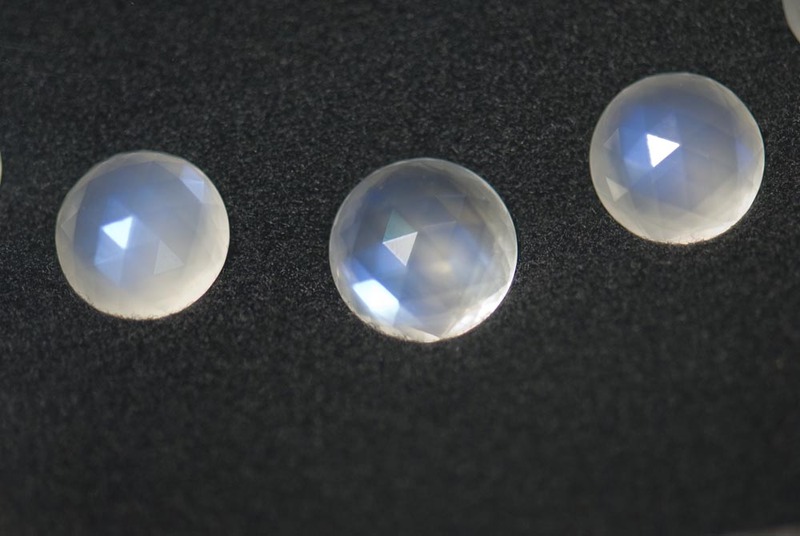 Moonstone that’s colorless with blue sheen is most valuable but moonstone is available in green, peach, brown, and gray with blue, silver, white or rainbow adularescence. Moonstone that is almost transparent and as free of inclusions as possible is generally preferred. A slight translucency helps to accentuate the adularescence. 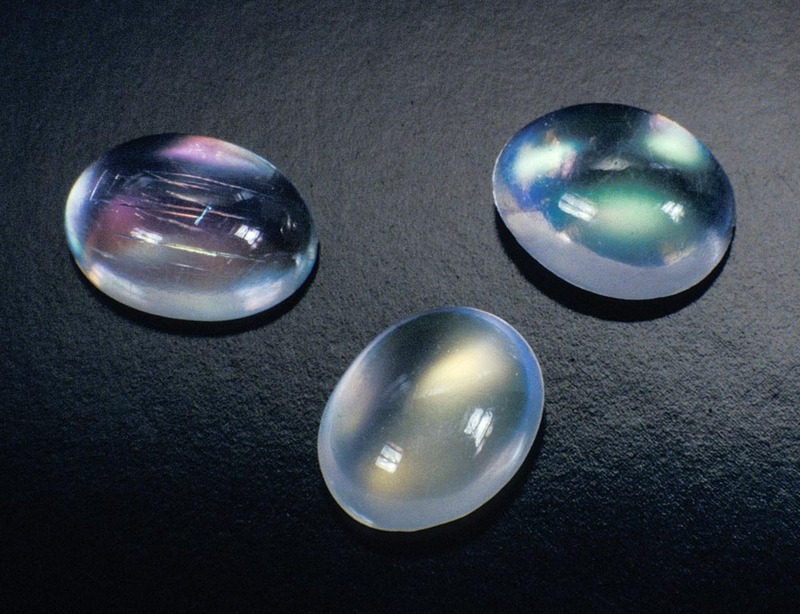 Most moonstone is cut in the smooth domed shape called a cabochon to best show the adularescence. Faceted moonstone is becoming more popular. Moonstone is available in a wide range of sizes but fine material is rare in large sizes and its value increases as a result. Is rainbow moonstone really moonstone? 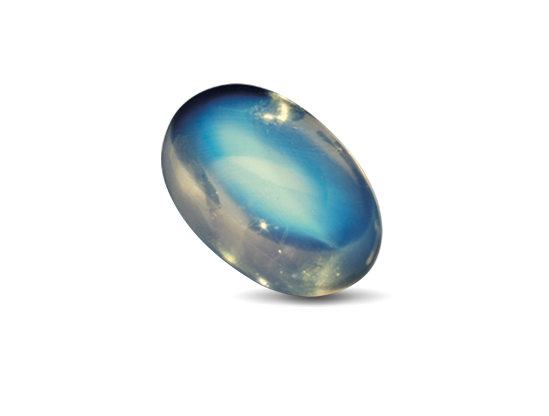 Rainbow moonstone is transparent labradorite, a closely related feldspar mineral with sheen in a variety of iridescent colors. Although it’s technically not moonstone, it’s similar enough that the trade has accepted it as a gem in its own right. Today some people prefer it to traditional moonstone. Is moonstone tough enough for rings? 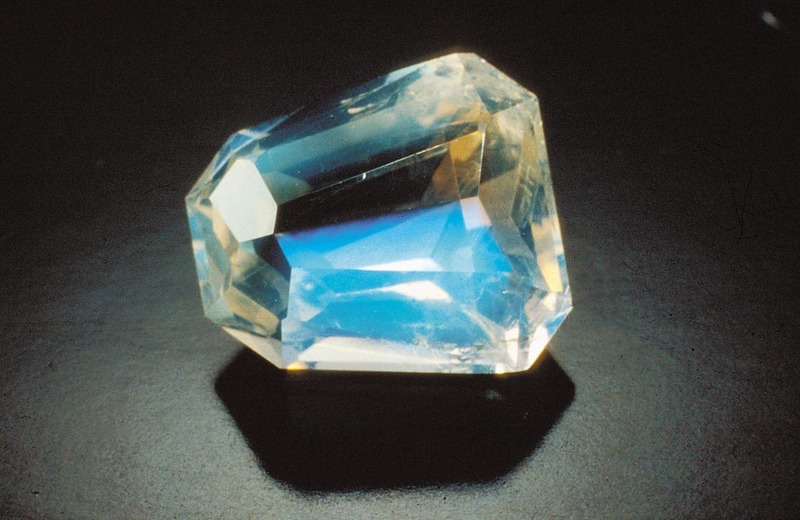 Moonstone is less durable than gems like sapphire, diamond or amethyst. It is vulnerable to scratching and also chipping or cleaving if accidentally hit against a hard surface. Wearing moonstone rings isn’t recommended during sports or at the gym. However, with proper care and attention many people wear moonstone rings for years without any issues. 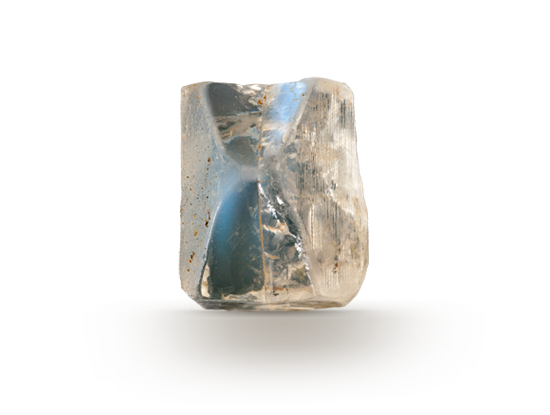 In recent years, moonstone cut in traditional faceted shapes is much more available. 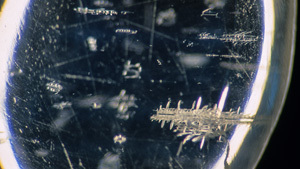 Generally very transparent material is faceted. Rose cut moonstone is currently popular and milky material is generally fashioned that way. Keep your moonstone beautiful by following simple care and cleaning guidelines. 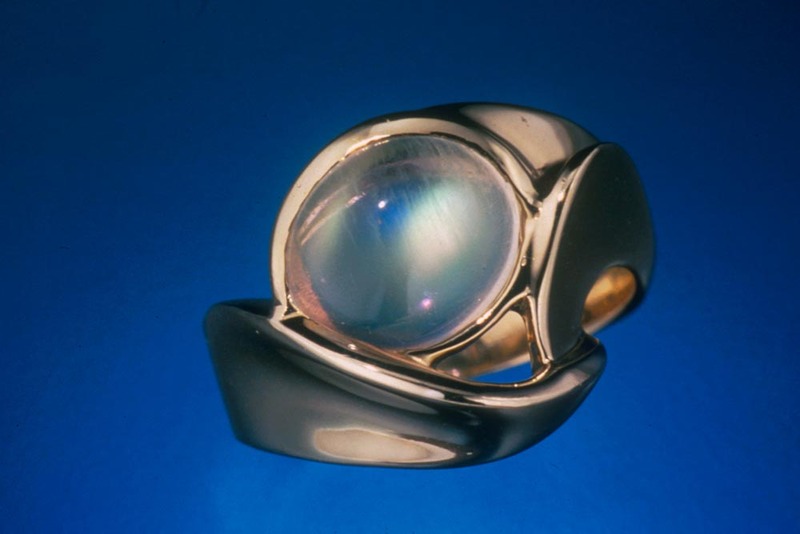 Moonstone has two cleavage directions, and cleavage can affect durability, so manufacturers usually set moonstone into pendants, earrings, and pins rather than rings, which are more likely to receive knocks and bumps. Warm soapy water is always safe.